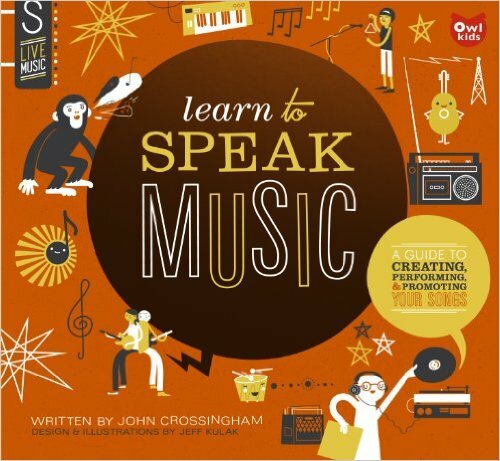 I came across John Crossingham's Learn to Speak Music: A Guide to Creating, Performing, and Promoting Your Songs in the children's section of the library a few weeks ago, and of course I had to pick it up. For any kid who's ever wanted to write a song, start a band, record music, or play a gig...this is a book worth checking out! Then he takes you through every single step you need to know to create and perform that music...from songwriting basics, to chosing an instrument, to promoting a gig. He's got great ideas for how to be considerate of family and neighbors (choose your practice times and location wisely, use blankets to soundproof your practice room) and even how to be a musician if you don't have enough money for a new instrument (borrow an instrument from school, buy something used, start with drumsticks, sing). I like how each chapter includes a playlist of songs that illustrate what the chapter is talking about. 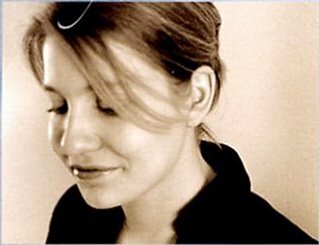 You can use the playlists to do a quick search on YouTube or Lala and listen to songs by Fiest, Arcade Fire, Beethoven, John Coltrane to learn more about the songwriting and performing tips outlined in the book. I like that there's a ton of great information in Learn to Speak Music but I love that John Crossingham always keeps the most important rule front and center: PLAY BECAUSE YOU LOVE IT. This looks like such a great book, Josie! I requested it from our library and hope to do a review of it on my blog.